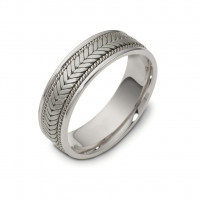 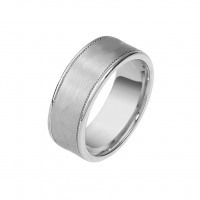 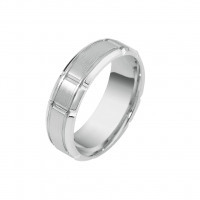 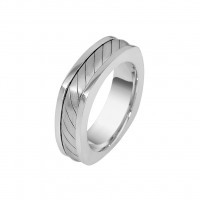 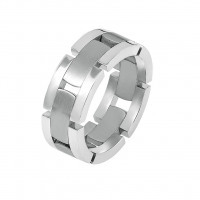 The Milano Wedding band, is a very intricate piece. Using a brushed finish to suppress the shine of the white gold on the lower section and let the horizontal bars stand out. 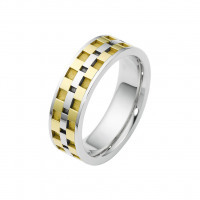 Meanwhile, the vertical bars are raised up slightly along the center of the band to bring a more dimensional effect. 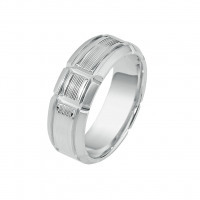 This band is available in 10k, 14k, and 18k white gold. 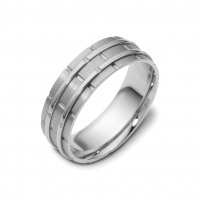 The center design may be personalized by selecting from yellow, white or rose gold. 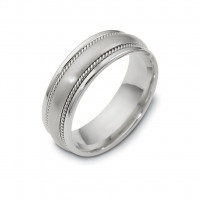 Please use our filter to make the perfect selection, or contact us if you can't find what you're looking for.